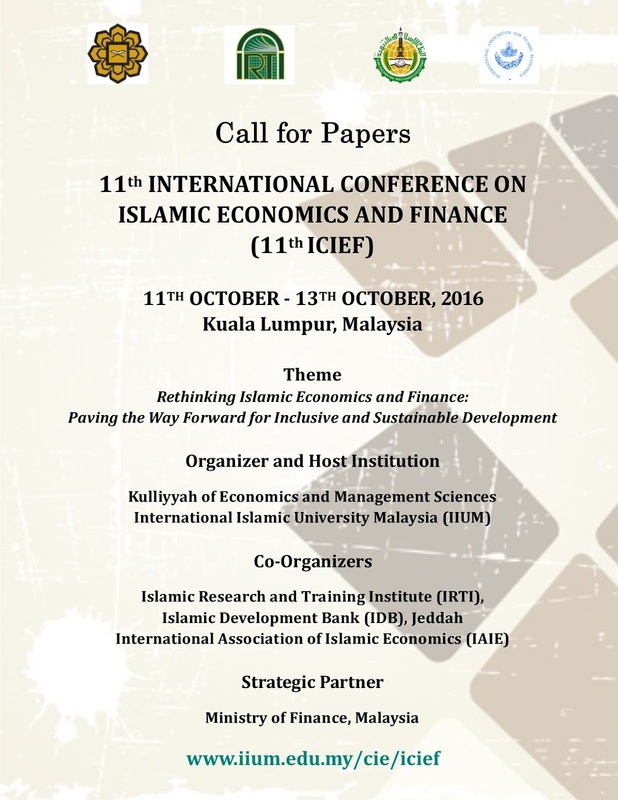 Islamic Research and Training Institute (IRTI-IDB) in collaboration with International Association of Islamic Economics (IAIE) and International Islamic University Malaysia (IIUM) will hold the 11th International Conference on Islamic Economics and Finance (11th ICIEF) under the theme “Rethinking Islamic Economics and Finance: Paving the Way Forward for Inclusive and Sustainable Development” from 11th- 13th October, 2016, Kuala Lumpur, Malaysia. 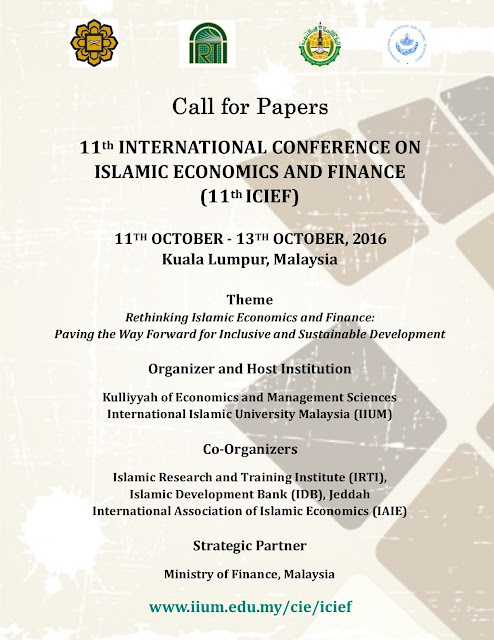 The 11th ICIEF focuses on the way forward toward developing the disciplines of Islamic economics and Islamic finance and increasing their application in the economies of the OIC and non-OIC countries. 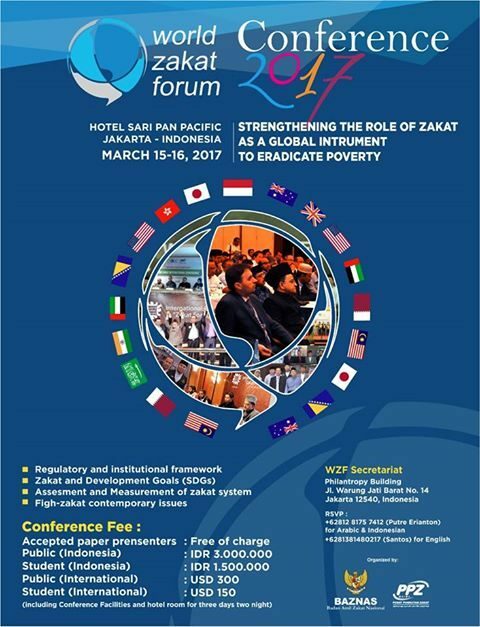 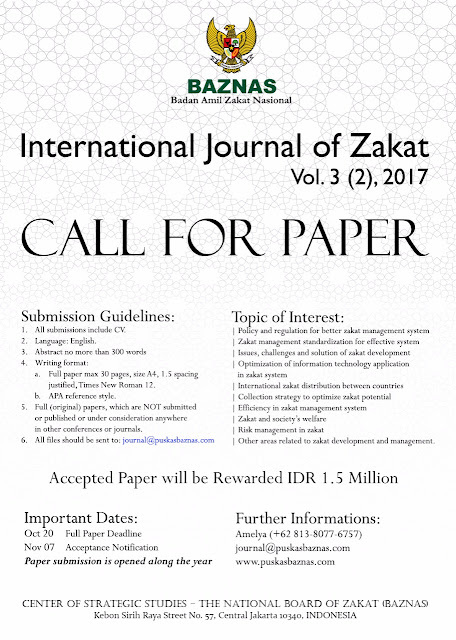 Hence, the conference is devoted to not only theory development and application of the theory but also policy-related issues concerning, but not necessarily limited to, the following three major areas: Islamic Economics, Islamic Finance, Policy-Related areas in Economics, Finance, Accounting, Management and Marketing.